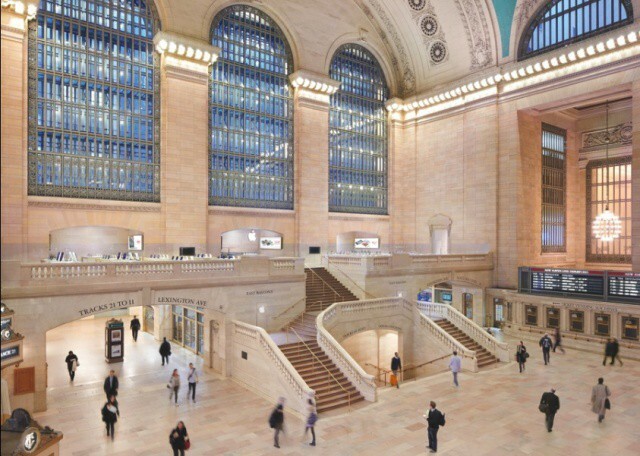 The Apple Store in New York City's Grand Terminal. Apparently, Apple retail stores are like catnip (or, something stronger, no doubt) to cities across the US. According to a new report, Apple is courted by cities looking to capture the extra cash of the tragically young and hip urban consumers that Apple Stores bring to area malls everywhere. New York City is reported to only charge Apple a fraction of the amounts other retail stores or restaurants are charged, while Salt Lake City purportedly offered five years of free rent. The concept here is simple. Apple Stores are the ultimate in cool, offering higher-end, quality products and retail spaces to an increasing number of consumers with money they can spend. While none of the details of the deals (mentioned in such diverse outlets as ABC News and The New York Times) have been confirmed by authorities or Apple executives, the logic is sound. Unfortunately, placing an Apple Store next to a poorly run business isn’t going to automatically help that business. While it’s true that Apple brings a certain cache to the table, the halo of success around them may or may not spread to, say, the restaurant next door. Restaurants have a notoriously difficult time succeeding in any venue, high-end or not. In addition, as Chris Matyszczyk says on CNET, it’s not like Apple chooses low-rent or rundown retail spaces in the first place. Both the examples above are fairly hot properties to begin with. Adding Apple merely puts a shine on an already glistening retail outlet. Bottom line, we love Apple and can totally understand trying to woo them into opening a store in cities and malls across the country. It just that, well, it might not work as well as planned.